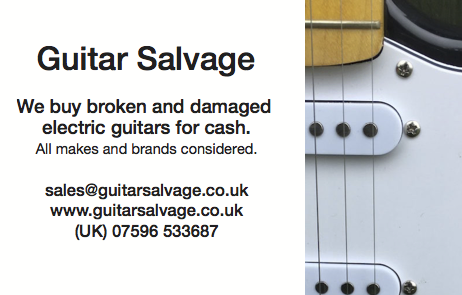 We are always looking for used spare parts and damaged electric guitars. Contact us and let us know what you have for sale. The guitars we sell are lovingly assembled from the best bits we have in stock so each guitar is a custom built instrument. 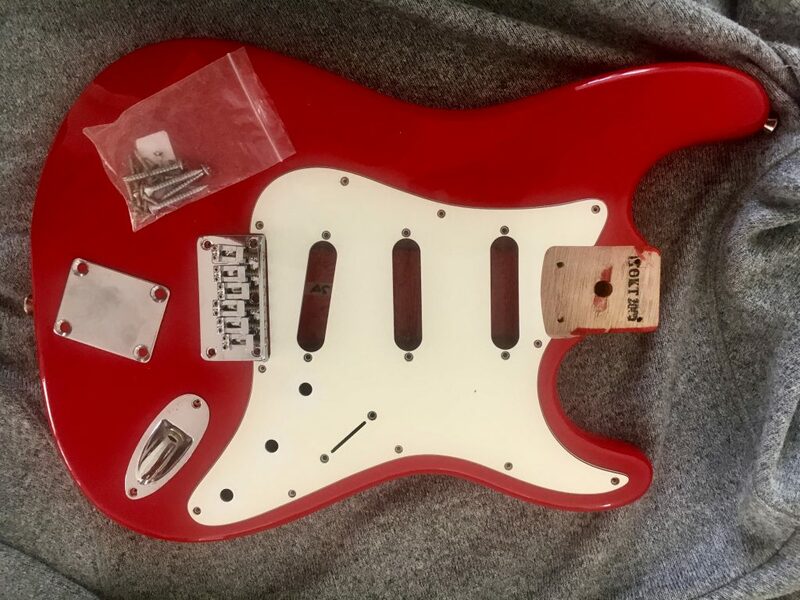 We have sold Fenders that have been rebuilt using pickups from Manson guitars and have assembled some awesome beasts using brand new, unmarked bodies (damaged guitars that have broken necks) marrying them with vintage necks and hardware. This contoured basswood body is routed to fit any standard pickup configuration. The overall condition is good but it has surface surface but looks vintage, with a matt paint finish. The scratchplate has two 'scripted' early white pickup covers from a Squier and an unscripted one of similar patina. Included in this bundle is a complete tremolo unit, including: claw, bridge saddles, adjusters and a neck backplate and plastic mount, chrome jack plug and boat and guitar strap buttons.